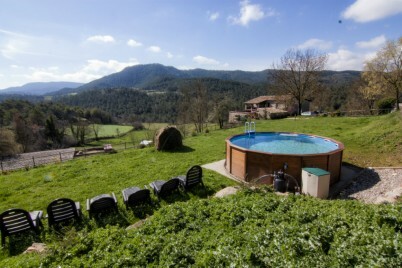 Casas rurales que nos gustan cerca de 8 Pools heated to combat the cold winter. Farmhouse with wonderful views and surrounded by nature. Isolated rural house with barbecue, table football and ping-pong. Ideal for disconnecting, near Barcelona. Rural house surrounded by mountains and valleys of Berguedà. Ideal to disconnect and enjoy the nature of the area.